So a must visit place on your Vancouver yacht charter would definitely be Lopez Island, one of the beautiful San Juan islands. There are just over 170 named islands across the San Juan islands, each one with it’s own laid back atmosphere and stunning scenery, and along with Orcas Island and Shaw Island; Lopez Island is one of the most populated and with plenty to do for all visitors. 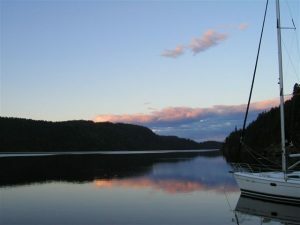 The San Juan Islands enjoy a lovely year round climate with highs around 70 degrees in the summer and 40 degrees in the winter. Lopez Island is possibly one the friendliest island, nicknamed “the Friendly Isle” expect to be greeted by the local and even waved out by people from their cars! So it’s a welcome stop on your Vancouver yacht charter. The island is fairly small, just 15 miles long, albeit with 63 miles of stunning coastline to enjoy. There is a year round population of about 2,500 people, from artists, musicians to farmers and fishermen. The landscape is stunning with forests and farmlands covering the interior of the island, and the natural beauty of the shoreline consists of quiet bays and beaches with magnificent views of the distant snow-capped Mount Baker. If you decide to visit Lopez Island on your Vancouver yacht charter, you appreciate the history of the island which was first farmed in the 1850’s by Scandinavian farmers, these days much of the produce is fairly eclectic from sheep and Llama to wine grapes, pears and kiwis! It is worth a visit to the Lopez Island Historical Society & Museum which features exhibits focusing on the island’s history, including a massive photo and document archive bursting with history and images of the island through the ages. 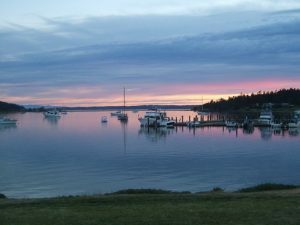 What to do on Lopez Island ? Hire bikes and cycle around the island, taking in the many beautiful beaches en route. Stroll the many art galleries and enjoy the plethora of art displayed by the local artists. Take in some shopping in many of the enticing boutiques and shops in Lopez Village or just enjoy some coffee in one of the many coffee shops. Eat out in one of the local restaurants, enjoying delicious locally grown food. Do some Kayaking and enjoy the many national wildlife refuge islands on the south side of the island, all protected for the animals and birds. 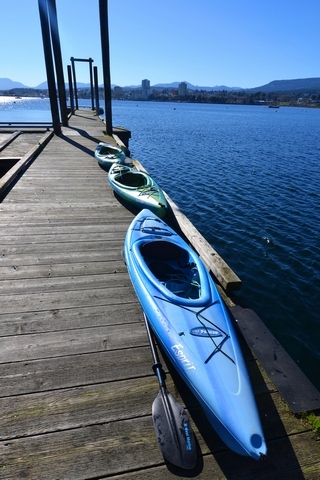 There are many knowledgeable kayaking operations on the islands that can help you out with local knowledge and good safe kit. 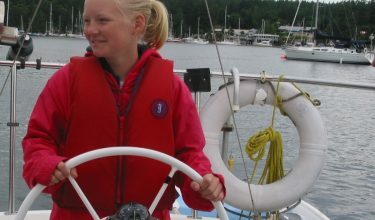 Enjoy the amazing views onboard your Vancouver yacht charter from the island waters, such as the southwest or southeast part of the island where Rosario Strait meets the the Strait of Juan de Fuca. Visit one of the county day parks; Odlin County Park or Spencer Spit State park where you can enjoy the stunning beaches and enjoy the local wildlife in its natural element. 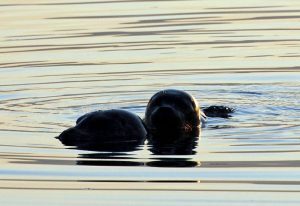 See the seals and sea lions at Shark Reef Park, after you have walked through the beautiful woodland on a set trail. Go to Agate Beach park and admire the tide pools and if you are feeling more energetic then climb the rock at low tide! So there is much to do and appreciate on Lopez Island, so definitely worth a stop if you are exploring the San Juan islands on your Vancouver yacht charter.